What the hell? Apparently Westminster Abbey is already booked for Friday April 29th?!!! And here I was going to book the Gnome family bingo night. Damn. 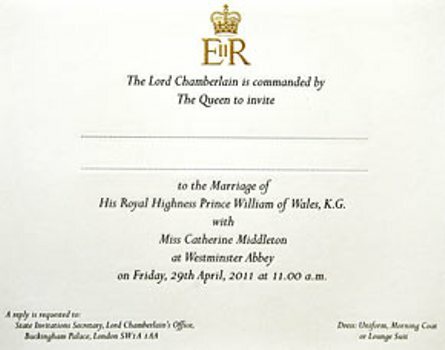 Maybe the Buckingham Palace is available since all the people that hang out there will be at this wedding anyway. Besides, the gnomes like to mess with the guards to get them to move. Let's just say they're a bit jumpy about tazers now. You know, while I was gone I was planning my next big world travel adventure. The pyramids were on my list too. It would have been so VE-like to have shown up there right during the protests too. I mean, the last time I was in Sao Paulo, Brazil the gangs were taking over the city and fire bombing police. It was a state of emergency! It's not like I plan these things either. I don't have airline tickets to North Korea to hand out "Democracy Rules" bumper stickers or something. My plans are meager; simple. I've been thinking about Spain, Portugal and Morocco this Sep. With my luck there will be some sort of conquistador uprising while I'm there or perhaps desert sand demons will descend from the Sahara to take over the market in Morocco. These things just happen when I travel. I've been wondering if the gnomes have seen Gnomeo & Juliet? I haven't seen any sign twirlers around here, but we have the poor schmoe who dresses up like the Statue of Liberty and prances around in front of the Liberty Tax Service office hoping to lure in business. Personally, I think they're scaring away more people than luring; after all, who wants to risk being crushed by a toppling bronze statue just to get taxes done? Oh, no - the Nigerians are definitely having trouble, still. In fact, I just wrote one a check yesterday. Can't wait to get my bonus! We have the Statue of Liberty person here too. The other day, she curtsied as we drove by! Across from the Statue of Liberty, we have dancing/waving M&M's for a tax service with the same name. They give you a pack of M&M's when you have your taxes filled out there. The sign twirler that fascinates us is the unibomber who holds a "we buy gold" sign and waves a calm, single back/forth wave as you drive by. He only dresses like the unibomber in cold weather, in the summer he is a well dressed guy with long hair. 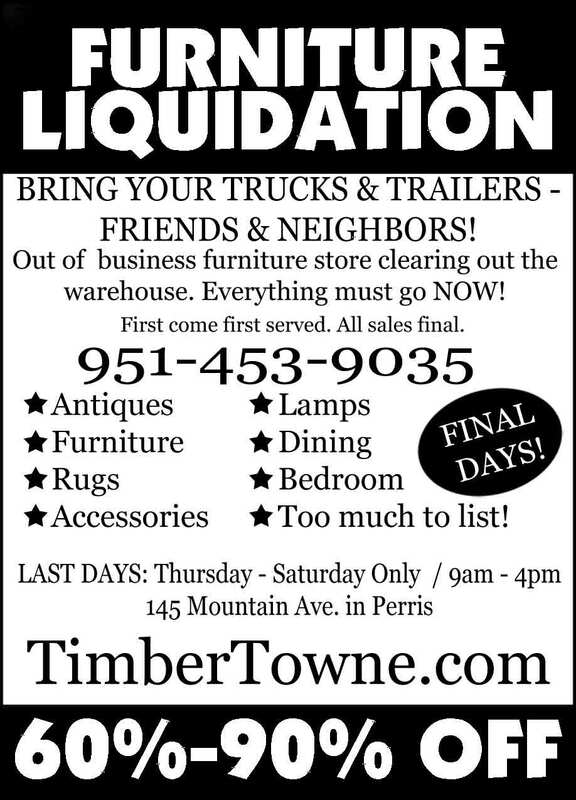 the problem with furniture liquidation is picking the fuzz out of your teeth after you try to drink it. Sign twirlers~BAH! We've got a couple poor mooks dressed up as Liberty statues...despite th' extra costume layers, they're still freezin' their butts off! My invitation looks a lot better than yours. So if you crossed liquid furniture with fruity rum drinks, what would you get? A sofa with a tacky fruit/floral print? A waterbed with a straw and a paper umbrella attached? Clearly more research is needed. 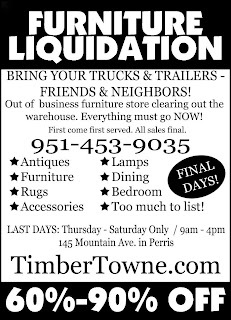 One of my daughters lives in Perris so I will have to ask her about the liquidation place. I think the safest place to travel to is China because they will just shoot everyone who protests and then replace them with new babies in a few minutes. And if the protestors are women then it is a win, win, situation for the government. Although if they keep aborting all the female babies, who is going to be having the little male babies. Their scientists better get going on the men carrying the babies thing. Well, there goes my bucket list, shot all to hell. peggy - Apparently the statue of liberty really gets around! anne - Yeah, apparently the queen doesn't think too highly of gnomes...those Brits...they think they are SO superior. elizabeth - Do you think they actually have cars there? janna - Ha! I agree! baino - Are you sure all that didn't wash away with all your flooding there?